In this section we will attempt to answer some frequently asked questions about 3G Datacard and 3G Modem antennas. 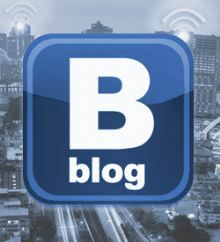 This page will be updated as we add more FAQs so do check back from time to time. 1. How do I know which 3G datacard or 3G modem I have? Frequently the mobile network providers change supplier of 3G datacard/modem. 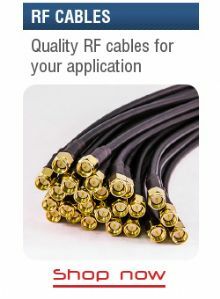 Therefore we offer our antenna solutions based on the card manufacturer as different manufacturers use different antenna connectors just to make life complicated. This information can usually be found on the underside of the datacard or USB modem. The most widely used datacards and modems appear to be made by Option, Huawei, ZTE and Sierra Wireless. Please select the antenna solution that is designed for your datacard or modem. 2. Should I chose a directional or omnidirectional antenna for my datacard or modem? This depends of what level of signal you want or need. The advantage of directional antennas is that they offer higher gain than omnidirectional antennas and this very much enhances your prospects of improved reception. The only disadvantage of directional antennas is that you have to point the antenna towards your nearest tower (base station) which takes a little time to set up. The omni antenna has less gain than a directional antenna, but you do not have to spend time pointing the antenna in the right direction. Our highest gain antenna is the SLP1.7-2.5-11 which offers 11 dBi of gain. Providing you have at least some kind of weak signal on your datacard where you install the SLP then usually you will see a great leap in performance. Our SMP panel antenna has slightly lower gain at 9 dBi, but this also supports all GSM frequencies should you need it. 3. Where is my local tower (base station)? Visit http://www.sitefinder.ofcom.org.uk/ to find your nearest tower. However use this resource carefully as some operators share towers and your local 3G mast may not necessarily be the one you are pointing the antenna at. 4. I have a Huawei E220 or E960 USB modem. Do you have an antenna solution for this? The Huawei E220 and the E960 modems do not have an external antenna connector, but don't worry we have an antenna coupler to connect your modem to a high gain antenna. We offer 3 high gain antenna bundles the 400401, 400402 and 400403 for this modem. These bundles also work for the ZTE MF622 modem. 5. I think the MF622 Modem has an external antenna connector why don't you offer an adapter cable? ZTE refuse to release the specification of a connector on the back of the MF622 modem which people believe is an antenna connector. Hence the only solution to connect a high gain antenna is to use the antenna coupler. See bundles 400401, 400402 and 400403. 6. I need a long cable with my antenna, is this a good idea? The longer the cable run from your antenna to the datacard the more signal losses you will incur. We suggest never running more than a 10M cable from a directional antenna otherwise you will start to lose the benefit of having the antenna in the first place. This is why we offer low loss BWL195 as standard in a 5M cable run. We believe that BWL195 is best in class offering low loss performance over 5M and 10M cable runs. 7. I have set up my external antenna, but I am not seeing any difference in signal.....? There a possibly a number of reasons for this. Firstly, check that all the connectors are correctly connected. Secondly, the external antenna may not be pointing at the local tower. Do a 360 degree test with the external antenna, rotate the antenna 5 degrees at a time (when connected all connected up of course!!) and each time leave it in position for 30 seconds to see if the signal comes up at some point during this test you will be pointing directly to the local mast and your signal should come up. 8. I don't have a signal at home will an external antenna help? Our external antenna solutions are designed to enhance weak signals, however they cannot deliver a signal where one doesn't exist. This statement can be qualified by the fact that if you have a signal outside your property/building then we can help as we will enhance reception of the signal outside and will deliver it insider via the low loss cable. We occasionally get asked if we can deliver a signal when the nearest 3G reception on the device is approx 500M from the building. In this scenario we probably cannot help as there is often insufficient signal at the property for the external antenna to work effectively.